Manafort's working for Iraqi Kurd's independence vote, against U.S. stated interests. Paul Manafort Inc. is still quietly creeping along. 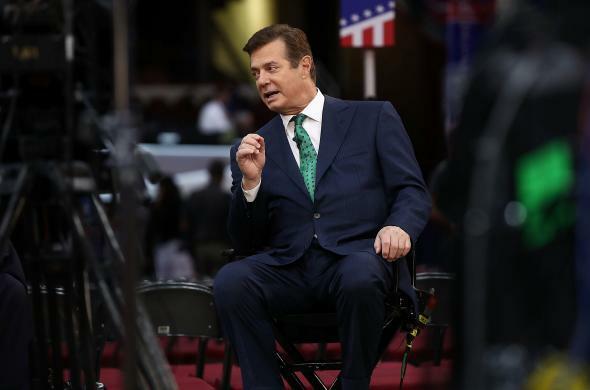 Paul Manafort’s global web of business and political dealings has come under increasing scrutiny in Special Counsel Robert Mueller’s Russia investigation, but that hasn’t stopped the former Trump campaign chairman from working out on the rough and tumble fringes of global politics. The New York Times reported Wednesday that Manafort has been working since the summer with Kurdish leaders in Iraq to help the autonomous region hold a referendum on independence. The United States opposes the non-binding referendum and has lobbied hard to postpone the measure over fears that it would destabilize the already delicate political situation in Iraq, making it harder to snuff out ISIS. The international community agrees and has lined up against the symbolic vote. The Kurdistan Region of Iraq is set to vote on the referendum on Monday. According to the Times’ reporting, Manafort signed on with Iraqi Kurdish leader, Massoud Barzani and his allies “to help administer and promote” the referendum. The referendum is the latest effort of a multifaceted push by Kurdish leaders to build support for their cause in Washington. The Kurdistan Regional Government had paid millions to Washington lobbying firms with deep connections to both Democrats and Republicans, including more than $1.5 million over the last three years, according to Justice Department records. But it has also worked to build support for independence from think tanks and scholars who might be willing to vouch for the referendum’s fairness, and use it to win bipartisan support in Washington for Kurdish independence, according to people familiar with the outreach. It’s unclear how much Manafort is being paid for his referendum consulting work.